You know, there are a few sucky things about going gluten free. One of them is the assumption by most food producers that you should be so dearly GRATEFUL for their half hazard, mealy, unpalatable concoctions, you will jump for joy at just the chance to take a bite. Um. Not so much. I think this says it all- offer something that looks decent, but stick a ‘gluten free’ label on it, and most ‘normal’ folks will grimace and keep walking. “Euuuuuugh”, they say. “Its one of those gluten free ‘things'”. Gluten free food, by and large, still has a reputation for being gross. In all fairness, I get it- most health food stores and grocery stores are way, way, behind in the quality of their fresh GF baked goods, in comparison to the fanciful recipes flying out of innovative food blogs and better yet, your local Farmers Market. Yes, indeed, it seems that Ottawa Farmers Markets are soon becoming a bit of a hub for quality gluten free treats. And thats how I met Joanna, creator and founder of Dolci Bakeshop (www.dolcibakeshop.com). I was kind of scrounging around trying to find resources to start a series on local gluten free bakers. The goal is to feature a new baker each month, to show our local gang and those wishing to order from afar, there’s great stuff out here. I happened upon Joanna’s contact info at the Lasdowne Farmers Market, motivated by the the glowing reviews of a friend who had sampled her goodies (Thank you S!!). Where do I begin? What was supposed to be a quick interview at the Farmers Market turned into ending up at my house collapsing on my couch laughing, trading GF goodies, stories about our lives and taking photos of her phenomenal treats. Joanna, in my mind, is a force to be reckoned with. Professional, kind-hearted, and unrelenting in her pursuit of the perfect product. Just like her site says, you can finally have your cake and eat it too. Joanna impressed me with her high personal standards. She took the time to explain to me in detail how she ensured her flours were free of cross-contamination from ordering from specific tested suppliers. How she got her kitchen inspected and certified by the CFIA to meet the highest standards of food safety. Everything is packaged beautifully and pristine. Every cookie is perfectly formed. This was not typical rustic who-knows-where-it-came-from Farmers Market fare. 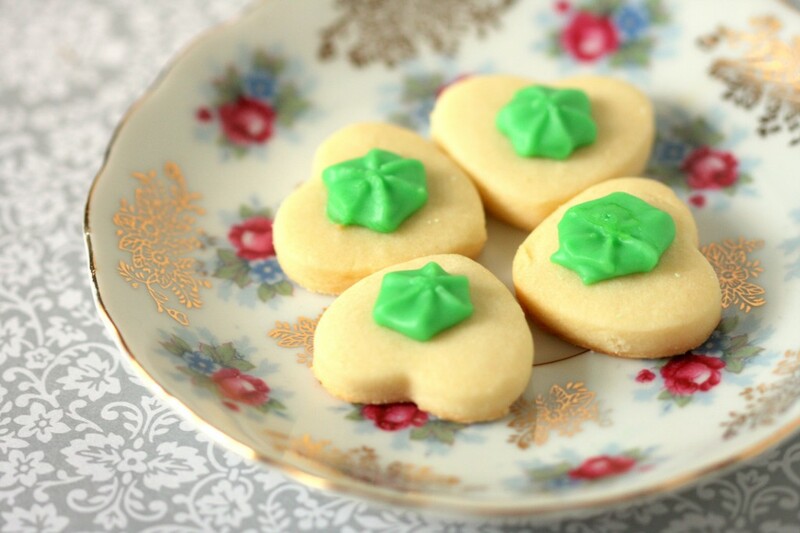 These are boutique cookies. They belong at Holt Renfrew. View the large images. She started Dolci just earlier this year, one step ahead of the crowd. Goodies flew off her tables at alarming rates at the Farmers Market- people were thrilled to find such a gem. Local businesses started taking orders. The ball was rolling forward. I saw customers rush to grab her ginormous Chocolate Walnut Cookies, regardless of whether or not they themselves were ‘gluten free’. The thick chocolate would gleam a bit in the morning sunlight, and dark chewy goodness would stop many dead in their tracks. These giant beauties, the size of a freaking hamburger pattie, are the drug of choice. *be still my heart*. Oh. And even better? She doesn’t kill you with the price. Next up- a confection close to my heart. 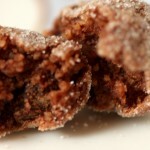 Her chocolate hazelnut Baci Cookies. 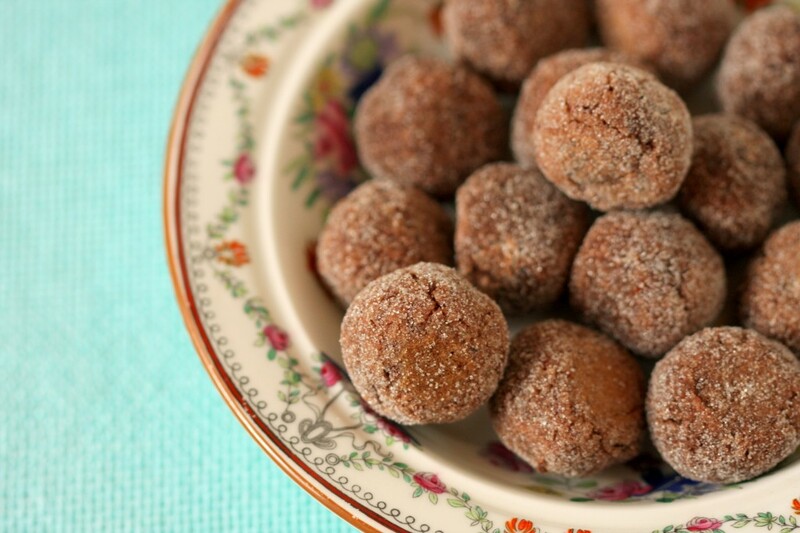 The italian word for kisses, and named after the famous hazelnut chocolate treat in Italy. 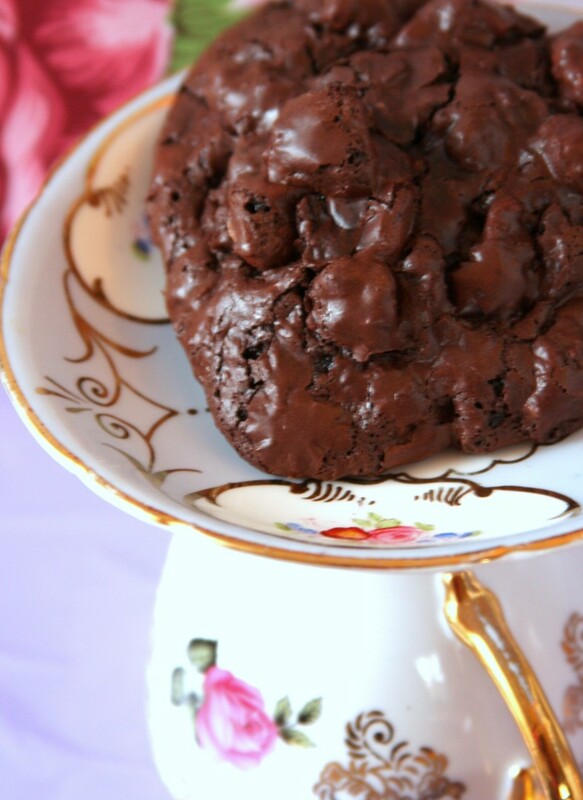 The outside of these cookies are crispy, and you take a bite and sink your teeth into this delectable chewy chocolatey goodness. I have no idea how she does it. You could pop them back and just keep going for more. And more. and… uh. I won’t mention how many I inhaled :) . 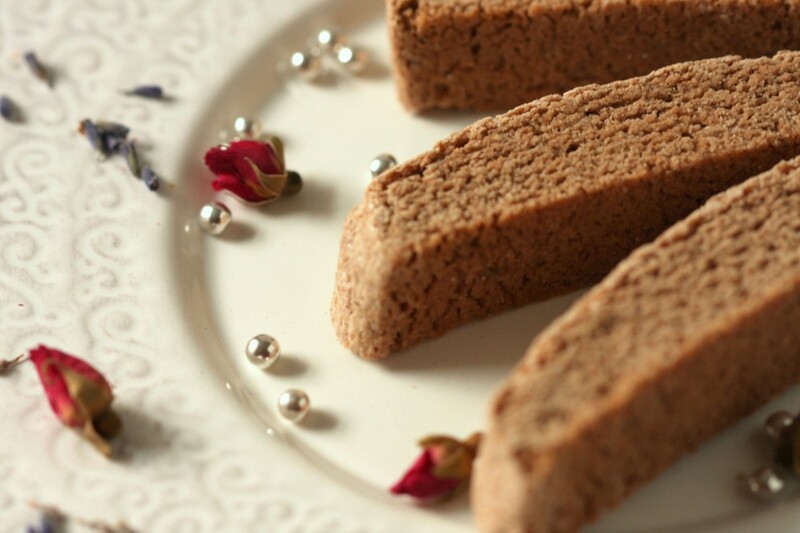 If you are looking for something a little less sweet that would go perfectly with your morning coffee or afternoon break, try dunking her crunchy Chocolate Espresso Biscotti. Looking for something that would be perfect for an afternoon tea or guests coming over? 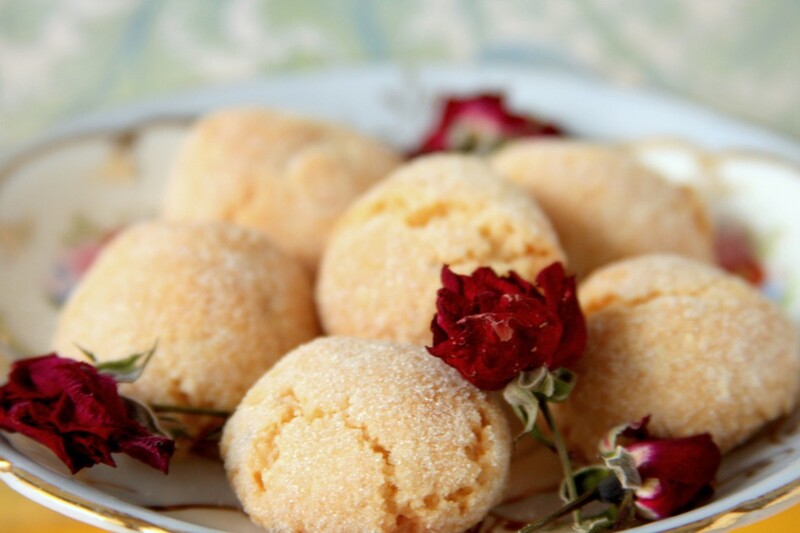 Give her beautiful Amaretti and her adorable Shortbread Cookies a bite. Or two. Or three. Maybe you want comfort food and you’re in the mood for one of those favorite standbys, Ginger Cookies. 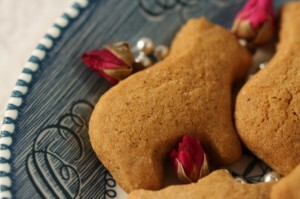 These cute animal shaped treats are soft, light, and have just a hint of spice to them. Great for snack time. 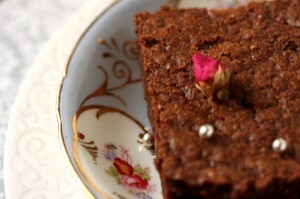 There are of course, speaking of comfort food, the best freaking Brownies I’ve ever tasted. Not mealy. AT ALL. They’re soft, chewy, almost cake-like but thick and buttery. These brownies are full of Oh… MyGod… INeed … AnotherOne-ness. Hands down best brownie I’ve had. As for my personal choice, above everything? You know what I am REALLY looking forward to? Finally having a Birthday Cake I can eat!! This year, I’ll be ordering from Joanna. I can’t tell you how excited I am. Even if you have multiple allergies beyond gluten, Joanna is always open to experiment in her kitchen and see what she can do to meet your dietary restrictions. I’d say thats pretty awesome. For your beautiful cookies, your professionalism, and most of all, for just being such a lovely person. Number one fan, right here. Is her kitchen certified by the City/ Municipality? Yes. Dolci’s kitchen has been certified by the city and meets all the municipal bylaw standards, including the Canadian Food Inspection Agency. Joanna has also been professionally trained in culinary management. Is her kitchen a dedicated gluten free space? Yes. No gluten enters her kitchen. All of her utensils and tools are completely gluten-free. Where does she get her flour? Joanna orders through an independant supplier of gluten-free flours. She does not buy from bulk bins. You can contact her for more information on her sources. Every one of her ingredients have been checked with the manufacturer to ensure they have been packaged on a gluten free line in the product facility. Yes, this means she’s made sure even things like vanilla and sugar are safe. Sometimes Joanna helps out at the GF Allergen Free Baking Workshops I hold- she was at the winter Cookie Workshop. 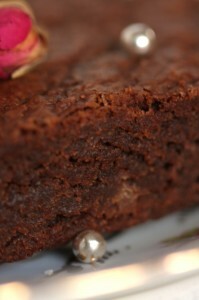 If you are in Ottawa May 14 2010, come to the Celiac Convention- she’ll be with her treats at booth #4. Are you a Gluten Free Baker? I’d love to hear about what you do, and do a post on your goodies. Hi would like to know where the bakery is located.